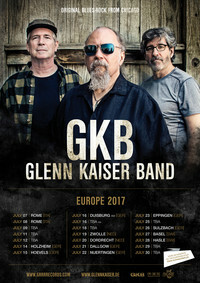 Here is a look at tour dates covering most of July for the GKB EuropaTour. There are some gaps that will likely be filled- or will be rest and/or travel days (rest is always good:). The shows will be updated via the link below as well… the site is in German. Wir lieben dich! And in fact, Ti vogliamo bene! and Wij houden van jou! Hope to see you on the road in Italy, Germany, The Netherlands or Switzerland 🙂 Scroll down for cities. For details please direct all questions to our amazing friend Carsten Turner via the web address below. Pic by Tony Taylor, Ascendent Instruments, Potomac, IL (I named this one “Midnight”) ! So it’s a cool variety of tour stops for myself and Wendi. Hope to see some of you on the road. How does one thank thousands of servicemen and women who have died, giving their lives for the nation? I would say by individuals of that nation to show respect and likewise be willing to sacrifice that others might enjoy the freedoms we share. On this day I wish to say Thank You to the parents and other family members who supported their loved ones- those who did not return alive and well upon completion of their mission. Let me also bring a word to those who disdain any military presence or service- I believe I both understand and also cannot find my own way to full pacifism, and yet as I regularly state in public commentary it is not the population who chooses to send our military. Rather, regardless who is in political power, it is our politicians and military leaders who make those choices. I personally wish all major deployments were a matter of referendum, and yes, realize (and to a point believe) those in charge have intel the average American does not… and yet…! Bonhoeffer comes to mind often as I consider these matters. It is never “easy” and certainly not always cheap. Sometimes I do believe it is not moral in the least to deploy troops. Yet zero defense is in my view, a bit like not eating… ever. It makes zero sense. Having said all this, I give thanks for those in our services who give and absolutely honor those who have given their lives for the freedoms we have. God Bless- and have mercy on this nation and the nations of the earth we and our military so greatly affect. 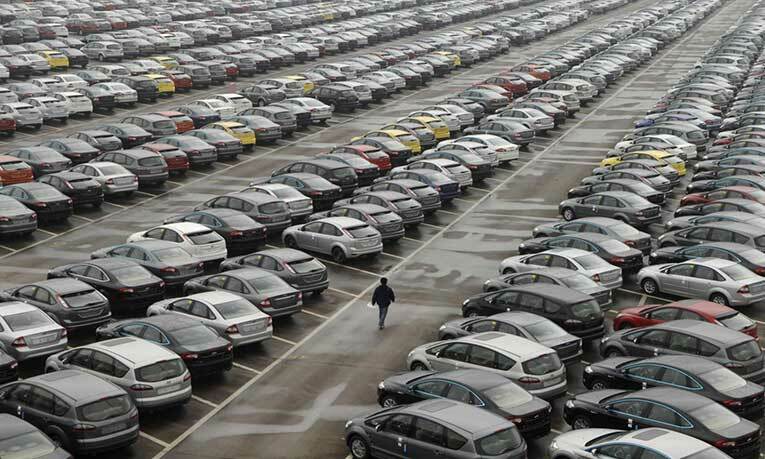 You know, the guy zips in and takes “your” parking space. The weather. The roast got a bit too done. The kid in the next booth at the restaurant won’t quit screaming. The little foxes spoil the grapes. Yep. Then again- very little or zero pain when you got up this morning. A slight breeze, mostly blue skies, no biting insects. The waitress smiled at you and seemed sincerely interested in serving you well. I think we not only need to (as Chuck Swindoll wrote years ago) not sweat the small stuff… I think it’s often the “small” stuff we overlook as gifts from Daddy. Every good and perfect gift comes down from the Father of heavenly lights with Whom there is no variableness or shadow due to change. HE doesn’t change but sometimes from moment to moment our circumstances, what comes our way along our path does. So do we really have total over control over it all? You and I KNOW we don’t and never did nor will. This is where trusting our Lord with the details comes in. Or doesn’t. We get mad, mean, depressed, self-pity rolls in like a fog. We take it out on those we love most, those we are closest to. I am convinced a major part of the solution comes down to Who you share it all with, who you focus on right through the journey. If you have not yet learned to pay attention to and connect with God in the little joys and gifts coming your way DAILY you likely are living in a web of the grumps, “the cup is half EMPTY” and self. Self ain’t never gonna be God, nor can it ever be satisfied outside of Him. I’m all about activism, there IS a time for anger, sadness and the rest. I GET injustice and concern for change. But I’m talking about personal spiritual hygiene. We complain about the little things. Do we praise and worship Him for the little things? Mercy Father, give us eyes to see, grateful hearts that give thanks. Q.: Are our thoughts about The Bible more important than what it says about us? First, the “yes”, why I say it- and what I or someone else may consider more important. As has often been argued with great sense and reason (yeah, yeah, modernist and Greek philosophy ‘eh…? :) our own individual and/or shared interpretation of the Book absolutely renders it -in practical terms-, true or false, beneficial or ridiculous, helpful or harmful. There are any number of verses that bring one to the same basic conclusion regarding our own motives for quoting or living by a Bible text… or not. Satan quotes scripture to Jesus Who responds to him with scripture. Ponder that for a bit and you realize two very different beings, attitudes, motives and outcomes are at work in the process of both the key fallen angel of note and God the Son referencing scripture. Many and most likely most followers of Christ refer to this collection of books and letters as The Word of God. I think it is, though I won’t bother to argue infallibility as I think the argument is moot. In my view, studies and experience there is simply no other book that tells truth with as much authority or purpose, all pointing to the God you and I, dear reader, are not. Because we ourselves are -not- God… and therefore are not infallible -our individual and even corporate, shared interpretations of the very Book are likewise not infallible. We are, even as Christ-followers, flawed, imperfect, prone to mistakes. He is not. As I often ask, what does HE think, feel, care about, want, desire for and in us, in His creation, in our relationship to Him and one another? How can we be fairly sure? Many will argue God speaks outside the Bible and I fully agree. I also believe one must begin with Jesus’ Own words about scripture, including His often quoting it. This one can easily study via the four Gospels (Matthew, Mark, Luke, John), next the many quotes cited by the rest of the writers of the New Testament. I fully admit (and why not, truth is truth!) -humans- wrote these texts. Scripture itself tells us “holy men of God were moved by the Holy Spirit” as they wrote. Hmmm. Now we are being called to believe, in faith, that such was the case. Certainly the matter eventually comes to faith. Yet I argue the most disturbing thing about it is the fact we cannot believe this Book and apply it with perfection as Father, Son and Spirit do. The Word Who “became flesh and dwelt among us” is Jesus Christ, the Person Himself according to the first chapter of the Gospel of John. Written characters (language on a page) do not equal a person and certainly not God. Further, anyone who follows Jesus Christ as Lord and Savior in genuine relationship has learned perhaps 90 percent or more of what they believe about Him based on the Bible. Personal experiences are amazing, not uncommon and they are truly important, even essential to experience life with the risen Christ. But if there were no Bible, what would anyone know or believe about Him? How would one have any clue if what they believed was true, accurate, solid WITHOUT the Bible? There are plenty of “God/god/spiritual-whatever experiences” had by all sorts of people who believe all sorts of things about Him/Her/It through the ages of the human race. So… what? One cannot give solid argument disconnected from the Book as to Who Jesus was and is… and not eventually suffer at least elements of disconnect. There are only a couple reputable ancient documents outside of the Bible that speak of Him and they do not even come close to clarity such as the Bible gives in the four Gospels alone. You and I may BELIEVE truth or untruth, that the sky is falling when it is not, that we are experiencing an earthquake when those standing right next to us feel nothing at all… and we would be flat wrong to say X is happening when it simply isn’t. EXPERIENCING God based on His Word is indeed a matter of faith, but it is also a matter of humility. We may well make mistakes with His written Word and all of us do at times… but it speaks not only of God, it brings strong, thorough and direct as well as parabolic judgment on humans in terms of their relationships and treatment of both God and one another. The Bible reads us… and there are plenty of sections that call us out in quite negative terms. Oh, The Gospel is Good News… but it’s also bad news to those disinterested in brutal honesty and it’s insistence that only Jesus Christ is sufficient for life, now and in eternity, commanding repentance and a life of loving obedience to Him. Commands, not mere options. Yep, lotsa peeps recoil at all this. In other words, I may dislike what I read but I find it nearly impossible to judge either God or the Old or New Testament writers with regard to what it’s words say about myself and the rest of humanity. I find myself asking forgiveness, cringing and coming to Him like a pup with tail between legs plenty often. Jesus’ apparent attitude and dealings with people versus many of my own and plenty of others -are quite different! The Bible brings us to a view that is often difficult to either counter or frankly, argue against re. scripture speaking about the human condition without surrender to God versus what an authentic follower of Jesus thinks, says and lives out. I mean, the contrast is pretty obvious and not always a pleasure to notice as we study the Bible! So there is in this sense a matter of truth and reality, not mere perspective that sorts us out and at times “puts us up against the wall” in a rather uncomfortable way. “The sword of the Spirit which is the Word of God” is one phrase that comes to mind in such a moment of careful consideration. In this sense, what I or you or any human thinks about the Bible, how we judge it is far less important that how God judges us as we read, respect and apply or ignore, disrespect and/or do not apply its teachings to our relationships. If it -is- the Word of God and not merely the words of humans on some sort of “spiritual philosophy kick”- and indeed I believe it is the Word of the One True God, what we think about it is far less important than what He thinks about our response to its words. What we think about Him and whether we truly know and walk with Him is the deal. The Bible clearly defines both believers and unbelievers in rather stark terms. Sheep/goats, followers/non-followers, obedient/disobedient, those who love with His love and those who do not. Something to consider as you consider the Bible’s place- or lack of it… in your own life. I’ve found myself saying “Love is patient, love is kind” so perhaps it’s my impatience over the years that has affected my sometimes -lack- of kindness, hmmm? See 1 Corinthians 13.4 and the rest of the chapter for details. There is a great deal said about being kind in The Book. Is it easier to get mad, work at “getting even” or learn patience, forgiveness and generally think/speak/act in grace sharing grace (un-earned/un-earnable favor) towards those you dislike, who have wronged you, who you see as most blameable for any pains you suffer in this life? When my mother divorced my father I have vivid memory of screaming “I HATE YOU” at her over and over, running off to my bedroom, throwing myself on the bed and begging God (whomever and IF there was one) to kill the old dude she had been shacking up with for many months. I get hurt and I remember only getting past it after I had come to faith in Jesus some 9 years later. The first thing God had me do upon my actual surrender to Jesus was to visit my Mom’s house (and then my Dad’s) asking them both to forgive -me- for my many sins, things they had in most cases zero idea I had even attempted much less lived out for years. The first and worst mess is self. Me. Nothing new about this and rarely is it any other way. Jesus spoke clearly about one of the most conditional things in the Gospels, essentially “As you forgive so shall you be forgiven”. Vulnerability is SO non-intuative. We hate “losing”. At anything. While I cannot and shall not confess to sins I’ve not committed, I have long ago learned to regularly confess my wrong-doing and in particular, forgiving others, not holding grudges which in the end do me absolutely no good and largely don’t solve THEIR deepest need for God’s love and forgiveness. Ultimately it is anything but “kind” to think of a person with other than God’s grace in mind. It’s pretty clear what love ain’t. God have mercy and help us do likewise.